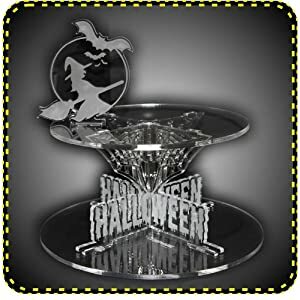 Be the envy of your guests with this cake stand. The Halloween cupcake stand will make an excellent addition to your party food table. The flashing LED lights to give an extra spooky feel to the stand.